sometimes it can happen, that you do some incorrect customization, although you have only the best intentions. If you play around with the Lead qualification, opportunities, contacts and account you may want to modify also connection roles. Message: "An error has occurred. Either the data does not exist or you do not have sufficient privileges to view the data. Contact your system administrator for help." Crm Exception: Message: An error has occurred. Either the data does not exist or you do not have sufficient privileges to view the data. Contact your system administrator for help., ErrorCode: -2147159520, InnerException: Microsoft.Crm.CrmException: An error has occurred. Either the data does not exist or you do not have sufficient privileges to view the data. Contact your system administrator for help. 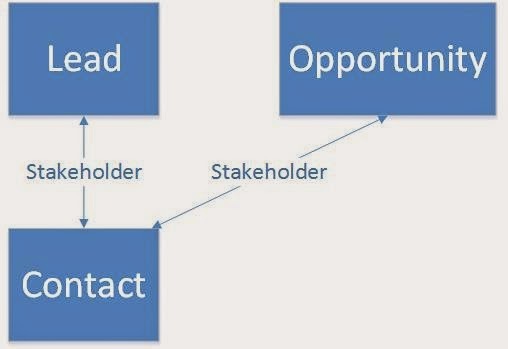 Then you have most likely deleted the connection role "Stakeholder" from your CRM system. So the truth is, that when you qualify the Lead, a new Contact and a new Opportunity is created and also connections between these new records are created. The new connection records use a stakeholder role. If this role has been deleted, then the qualification process fails. Each of these records contain reference to the Stakeholder role. The enlightenment from this is: Do NOT delete system Connection roles!!! I hope this will save you time when you get error like this. IF the stakeholder roles was deleted, what is the fix? I created a new connection role of named stakeholder and set everything the way it should be and still get the error.